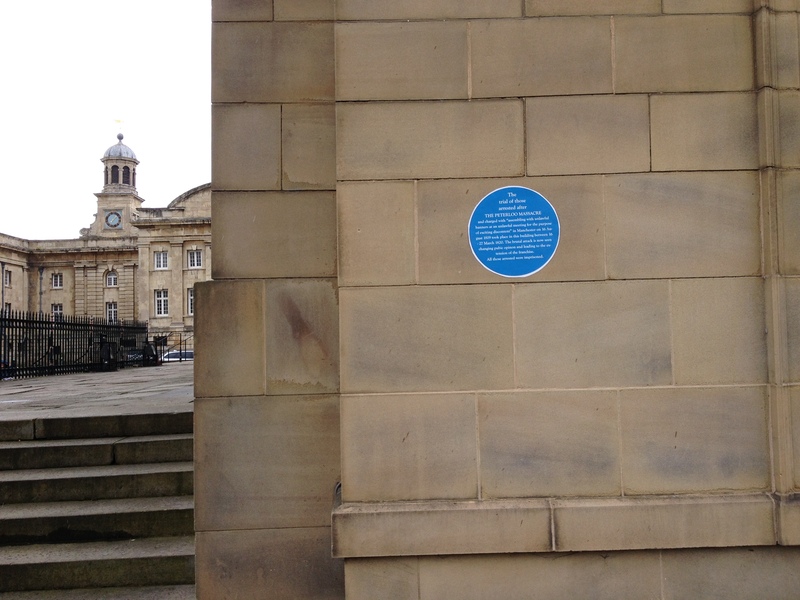 In York there are over seventy blue plaques around York commemorating famous people or events. 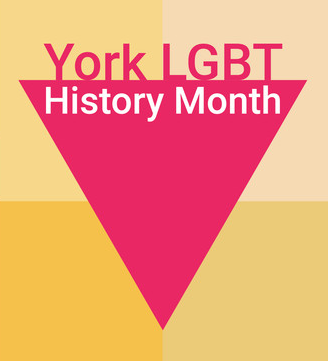 To celebrate York LGBT History Month 2015, we invite you to create your own rainbow plaque telling the LGBT history of our city. Together we’ll mark places of personal significance and political importance, highlighting the diverse stories that run through York’s streets. We’ll then distribute (the safe and easily removable) cardboard plaques around the city, recording the stories and photographing them for an archive of the day. 2) Drop in during the afternoon to customize one of the rainbow plaques. Following a wide range of press coverage this week in York Press and BBC Radio York – and some misunderstandings of the aims and content of Paul’s York: A Walk on the Wild Side book – we’ve decided the best thing is to make available freely the PDF. So if you’re interested in finding out what Paul’s really saying, then read away! Some of the debate has been fair enough. Paul’s argument is that York’s official representations haven’t always celebrated and brought to life the richer and less marketable histories. And we’re not scared of the debate, after all the point of York’s Alternative History has always been to do cultural politics; to tell lots of different stories about the city’s past so that the future can be ours for the making. It’s been great to see that Paul’s work has done that job so well. Beautifully designed and printed hard copies also still available. Either pay via cheque or pay pal. By PayPal: Add you address via PayPal to be posted the book. We can only sell the book for £5 each over the website (not for the multiple copies deal below). York’s Alternative History are very proud to launch Paul Furness’ York: A Walk on the Wild Side based on walks Paul has run over the past couple of years. For a taster see this Guardian Northern blog. Even Guy Fawkes has to shout to get himself heard in York and, to add insult to injury, he’s not in this little book either – which makes the point that what is left out of York’s rich history may be more relevant than what gets included in the “official version” that brands this tourist town a must visit experience. Within these pages you’ll find the story of the York “they” don’t want to tell you about – because it doesn’t fit the heritage image which has been invented for the express purpose of shopping! What you are about to read is none of that. Here are tales of riot, rebellion and revolution, music, poets, football and beer along with fights for women’s rights and Gay Liberation – just the story of another Friday night in York in fact! York: Walk On The Wild Side is supported by York’s Alternative History and the University of Leeds and is supported by the Arts and Humanities Research Council, through a research project ‘How should decisions about heritage be made?’ / York: Living with History project. Join us in the state room at the Mansion House to celebrate 2014’s amazing community history and heritage projects and to look ahead to what’s coming up in 2015. The World Turned Upside Down: Radical Ideas During the English Revolution, by York-born Christopher Hill, is one of the most famous of a wave of radical histories written in the late 20th century – all of which place the emphasis not on kings and elites but on history from the perspective of the people, ‘from below’. This event aims to celebrate and inspire histories of York not-often told and histories told by people who live here. 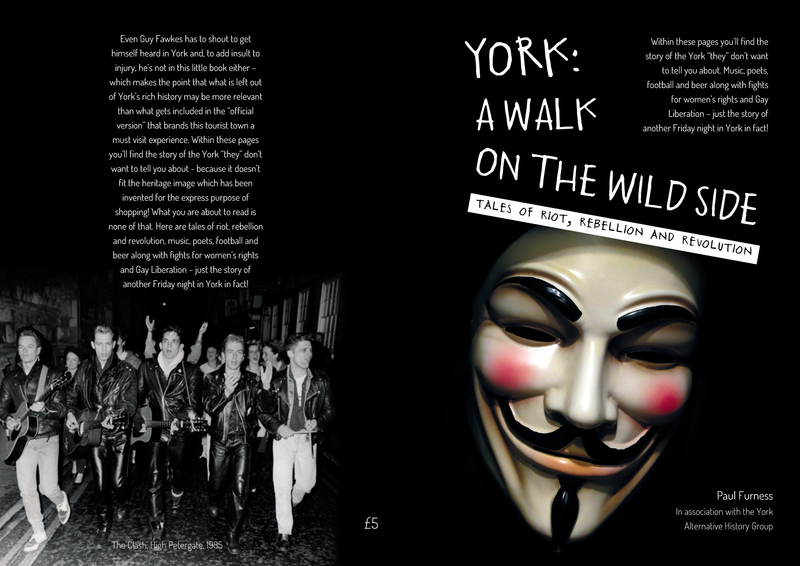 As part of the event we will also be launching York: A Walk on the Wild Side: Tales of Riots, Rebellion and Revolution by Paul Furness – in which Christopher Hill’s York story is told. Alongside Paul a range of different people and projects will do a 3 minute turn to get you excited and inspired for 2015. We will plan this a bit like a history-version of an open mike night…so if you have something you want to shout about let us know! This event is organized by York’s Alternative History and the University of Leeds and is supported by the Arts and Humanities Research Council, through a research project ‘How should decisions about heritage be made?’ / York: Living with History project. 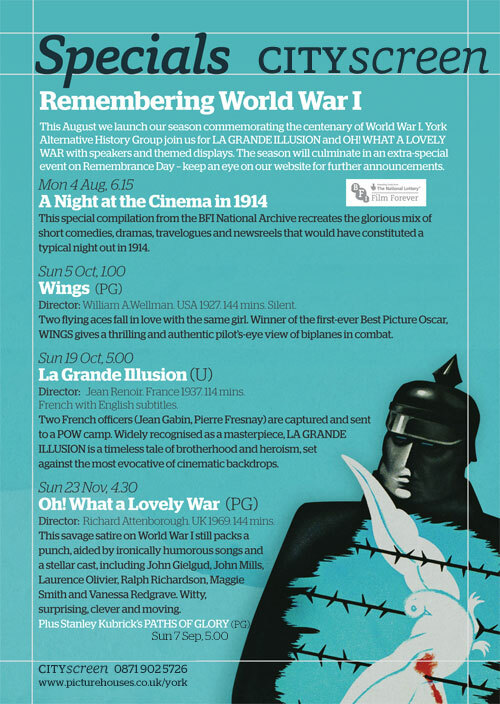 The York First World War Day-School will provide an alternative to Government plans for a ‘celebration of the national spirit’; and aims to counter romantic, populist, nationalist propaganda; oppose versions of history which serve to facilitate future wars; and offer explanation in place of commemoration. There will be plenty of opportunity to ask questions, to participate in discussion and to argue. One of the plaques made for the Write Your Own Plaque Day on 12th May – focused on trial held of those arrested after ‘The Peterloo Massacre’ in Manchester. What are the histories of the Castle and Eye of York area? How is it used today? How might we like to use the area in the future? In 2003 the Coppergate II Public Inquiry reported, rejecting a scheme for a second shopping centre in the area that would have including building close to bottom of the mound of Clifford’s Tower. The accompanying statement emphasized the historic environment: ‘The Secretary of State [John Prescott] is concerned that the siting of the development in relation to Clifford’s Tower fails to have sufficient regard to the desirability of preserving the listed building and its setting’. Co-ordinated by York Civic Trust as part of the York: Living with History project, Peter Brown, Director, York Civic Trust believes 2nd June event offers an opportunity ‘for a community-led project to bring forward general proposals to redesign the spaces around Clifford’s Tower, and to create, at last, a world-class setting for the world-class monuments’. On 2nd June the aim is to bring together interested people – organizations and members of the public – to explore the histories, uses and possible futures of the area and, by the end of the day, distil down the principles through which any development on the site could take place’. In advance of the meeting, York: Living with History will be calling for key histories and uses of the site to contributed via an A-Z of the area and for people to share photographs of the area through the ages. If you would like to attend the meeting, email PeterBrown@yorkcivictrust.co.uk. If you can’t come to the whole day, we’ll have the results of the crowdsourced exhibition and the draft brief available for discussion at Friends Meeting House, 2nd June, 4-6pm and subsequently via this website.